I think I might have been slightly influenced by this song as I wrote this. Eliciting emotions through external stimuli isn’t how writing is supposed to be done. Oh, wait. That’s happened since the dawn of time you say? Fair enough. Have a listen whilst reading. The reason I decided to write about trust is because of a conversation I had today. I’ve met a lot of people over the past few months, and ever since Mom passed I’ve decided to live my life as transparently as I can and be open and honest about myself. That said, I’ve never been perfect. None of us have. We all make mistakes, and we all trip up from time to time. That’s what makes us human. So this is where the trust thing comes in. When you meet someone, how much about yourself are you supposed to disclose? During the first few interactions, I mean. Obviously we only want this person to form positive thoughts about us at the beginning, right? The rest will come up at one point or another, or not at all – depending on what we decide to tell. Meeting someone new is almost like starting out with a blank slate. But we still carry those tendencies from our previous interactions, don’t we? Well, not necessarily. I believe people can change, but only if they’re committed to it. I think if people are upfront and honest about the bad things they’ve done before, that gives them a higher degree of awareness and desire to not repeat that behavior. I think doing this accomplishes two things: one, it will weed out the people who are too judgmental. If you swallow your pride and tell someone about whatever skeletons you have, and a person decides to pass on you because of something you’ve done – then forget them! You’re not about that anyway. That’s sort of the whole point in the first place – you want someone who likes you for who you really are. So why not reveal yourself at the beginning? Life is about moving forward and being the person you want to be – and if they want to dwell in the past, then so be it. Anyway, the second benefit you get by being upfront about your skeletons is creating a precedent of trust. If you trusted the person enough from the very beginning to not judge you by sharing your absolute worst moments, then you’re starting on a strong foundation. That way, if something DOES happen down the road, you already know that person is understanding enough to realize you aren’t perfect. That’s what trust is to me. It’s not necessarily the fact that I know you won’t do anything wrong. 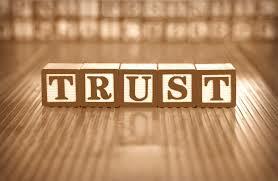 I think that’s a common misconception about our perception of trust. We all do things wrong. That’s life, whether you want to believe it or not. We’re all going to mess up here and there. If we didn’t, all of our names would be Jesus Christ. And last time I checked, my ID still said Matt Shao. Trusting someone isn’t knowing they’ll be perfect and won’t hurt you. Trusting someone is knowing that if you DO screw up…you’ll tell me. And I’ll understand, and we’ll find a way to get through it. Because I care about you. We get one life, folks. Don’t ruin it by holding people to standards you don’t hold yourself to. People will always be people. Please always understand that. Is there a breaking point where someone doesn’t deserve forgiveness? Well, possibly. But use your intuition before passing judgements. Be just. Be fair. Especially if you’ve been on that side of the table before.